I did it. Yes, I did the impossible and potty trained a toddler just a few short months after having a baby. And I didn’t loose my mind. Forget the M&Ms and toys, I deserve a special treat, don’t you think? In reality, it wasn’t as hard as I thought it would be. Hudson shocked us all and trained in 3 days. YES, 3 DAYS! 1. Wait until your child is ready. SHOCKER. What can I say? If you came here for some super miracle potty training technique then you came to the wrong place. It sounds simple, but waiting was the key to our success. 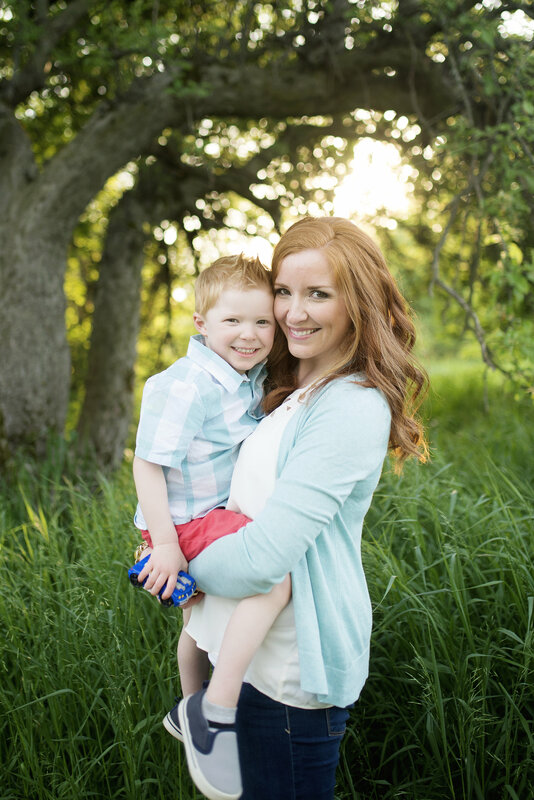 Hudson’s pediatrician recommended we wait to train him until he was close to 3 years old. He said we could torture ourselves for several weeks or months by trying too early, or we could wait until he was ready and train in a few days. Well, the wait paid off because Hudson rocked the potty train like nobody’s business. I don’t know about you, but I’d much rather change more diapers than have to clean poop and pee off of every surface in my house. Can I get an amen? 2. Praise. Lots and lots of praise. We cheered, clapped, high fived, and danced our way to the potty train. Every success was celebrated so that our big boy felt proud of his accomplishments. And he should be proud. Using the potty is a big deal! 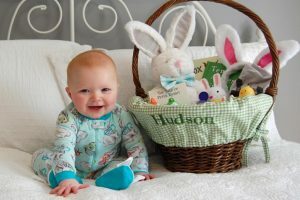 If Hudson had an accident, we quickly cleaned him up and moved on. Zero negativity was vital to our success. 3. Bribes. Yep, I said it. My name is Julie and I bribe my child. M&Ms did the trick for us. Each time Hudson used the potty he got one M&M. Two for #2. The first few days we would remind him that he would get an M&M, but then we stopped mentioning it. If he asked for an M&M we would give him one, but he soon forgot to even ask! Also, we used these just for potty training and not any other type of reward, so they were a special treat. 4. Ditch those diapers. Once it was potty day, we ditched the diapers and rocked undies. Pull-Ups are great, but they feel like a diaper, so don’t even bother (except at nap-time…more on that later). Wearing undies not only helped Hudson feel like a big boy, they also helped him feel when he was wet. 5. Don’t leave the house. Wait to potty train until you can stay at home for at least 3 days. Because potty training while at Target is…the worst. Wait until you feel confident in your child’s ability to let you know when they need to potty before you head out of the house. If you can’t do this within 5 days then I think you’ve jumped the gun on potty training. We didn’t leave the house for three days while we trained. Fun times. 6. Potty Options. If you have baby, buy your toddler a little potty in addition to a potty seat for each toilet in your house. (To find out what seats we used, see below.) Toddlers don’t really understand how to hold it. When they have to go, they have to go RIGHT NOW! Since most of the time I can be found either nursing a baby or holding a baby, a little potty was a lifesaver for me! Hudson can get on it without my help, and I don’t have to worry about him falling or tripping while using a step stool. It definitely comes in handy when Hudson has to go and I’m in the middle of taking care of Sadie. The only problem is he prefers it to using a potty seat…..which is a major downfall of a little potty…..because cleaning it is zero fun. So if you don’t have another young child to tend to I recommend skipping this and using potty seats only. 7. Communicate, communicate, communicate! Kind of like tip #1, wait to potty train your child until they can communicate with you when they need to go to the potty. If they are too little to understand that, then it’s too early to train them. Waiting until Hudson was able to communicate to us when he needed to go potty was another key to our success. I think girls reach this milestone before boys…another reason to wait! Hudson was about 3 weeks shy of turning 3 years old when we trained….but every kid is different. 8. A big reward. We let Hudson pick his reward ahead of time and he picked this backpack for school! We also kept reminding him that in order to go to pre-school he had to be able to pee on the potty every time. Hudson was so excited about school that this worked for us. Find something that motivates your child and remind them frequently of their reward. Hudson was probably ready for a few weeks before we attempted to train him. Yep, that’s right…I put it off. Mostly because I had a newborn to take care of and didn’t have the energy for what I thought would be a big potty battle. But in order to go to pre-school Hudson had to be potty trained, so I had to get it done sooner rather than later. If I knew then what I know now, I would have just gone for it….but I had no idea he would knock it out in 3 days! Day 1: 4 accidents. After an accident we would clean him up, remind him to tell us when he needed to use the potty, and move on. Absolutely no negativity of any kind! Day 2: 0 accidents. Say what? This was probably a fluke. Day 3: 1 accident. He told me he needed to go but I was on the phone and couldn’t help him in time. My fault. But that was it! We’ve been accident free since then! A note about Pull-Ups: Some people will say that a sign of being ready to potty train is your child waking up from a nap/bedtime with a dry diaper. Well. Hudson only did that a handful of times….so we stick him in a Pull-Up at nap time and bedtime. Lately he has been waking up from his naps dry, so it’s about time to switch to undies. But I think we’ll wait a little longer on the night time switch. Cleaning wet sheets is not on my list of fun things to do in my spare time. 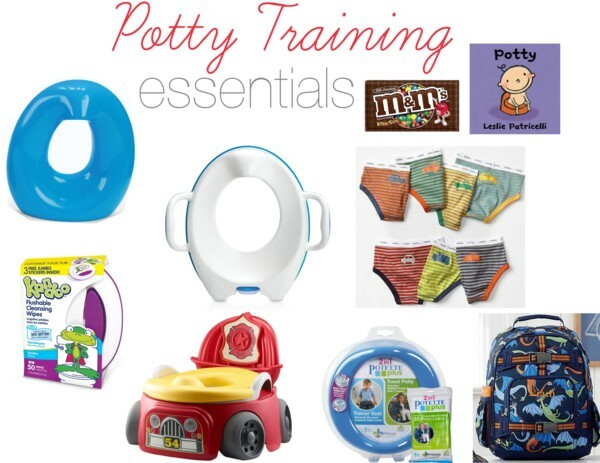 Here are a few things we found helpful when potty training……..
1. A potty seat for each bathroom in your house. We have three….so we have one of these (which I like for boys because the front part comes up pretty high to prevent pee getting everywhere) and two of these (which I like because they have handles)….Hudson likes both seats equally. 2. A little potty. We used this firetruck potty and Hudson calls it his “car potty.”3. Flushable wipes are a must have for messes that need just a little more clean up. These ones are my favorites. Trust me on this one. 4. M&Ms. I’m not above bribing my kid and these did the trick! 5. Hudson enjoyed this little book about using the potty, which we read in the weeks leading up to training. 6. Cute undies. These days of the week truck undies are our favorites and Hudson loves picking out a pair each day. Not knowing how many we would go through in a day, I bought like 20 pairs. Turns out we didn’t need that many, but you never know! 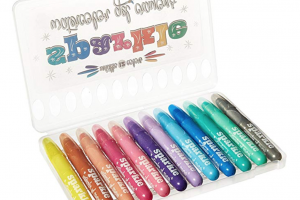 And how cute are these? Love. 7. The Potette Plus. My aunt sent us this after someone recommended it to us on Instagram. It’s great for potty-ing on the go. 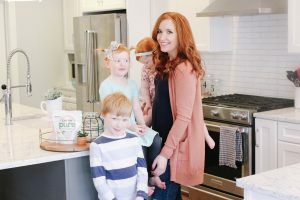 It can be used as a potty seat on a big potty or it can be it’s on travel potty…it has legs that pop out and comes with disposable bags that you tie to it so your kid can pop a squat anywhere. Genius. 8. A big reward. In Hudson’s case, a back pack. Or as Hudson would say a “pack bag”. So there you have it! 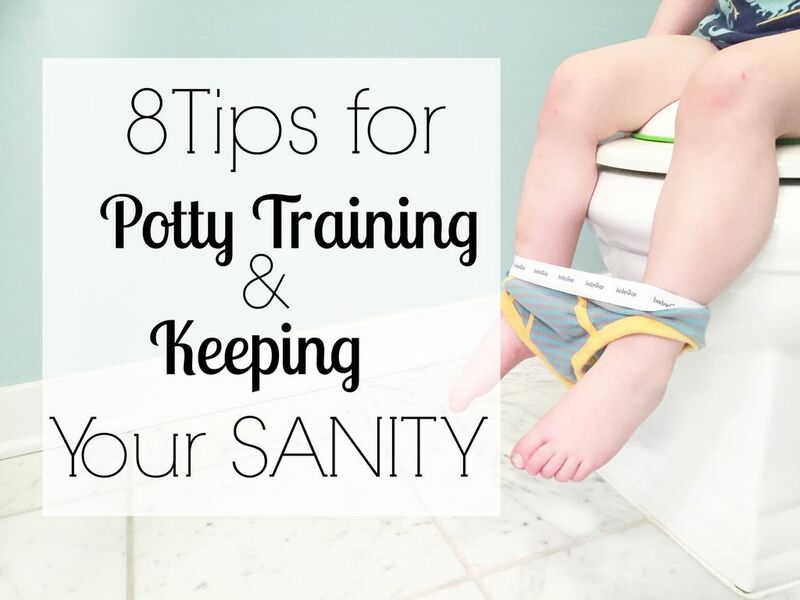 My tips for potty training and keeping your sanity. The big takeaway? WAIT until your child is ready. And did I mention waiting until he or she is ready? Can’t stress that last one enough folks. These are great tips!!! I completely agree with waiting until your kid is ready. Best tip ever!!! THANK YOU for this! My mom keeps telling me to potty train my just turned 2 year old, but I really don't think he is ready! 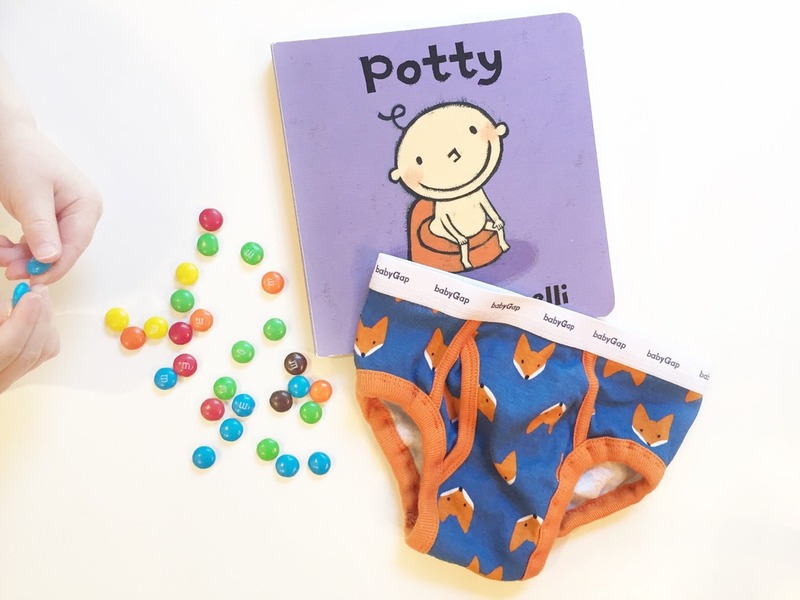 These are awesome tips and I cannot get over how cute those fox undies are!!! I gotta get those! Thanks for the tips! Tip number one is absolutely THE most important of them all! Great job you two! Props to all the potty training mamas out there! I don't know. We potty trained before lex was " ready" at age two. And I haven't cleaned poop off any surface. And also got a year less of awful toddler poop diapers? So amen to that. Thank you Julie for your post! It could not have come at a better time for me and my family as I've been feeling pressured to potty train my little man who is 28 months now and I just don't feel he's ready…especially with baby #2 due in just a month I really think it's best to wait. 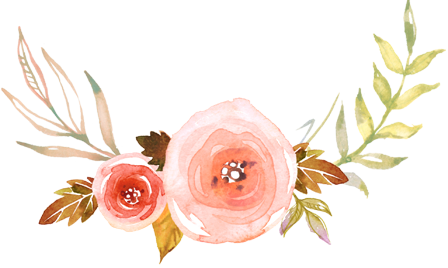 Your post is so helpful and super encouraging…literally lifted a weight off my shoulders so I thank you! Have an awesome day! Thanks Chelsea! I'm so glad it encouraged you!!! Hello! 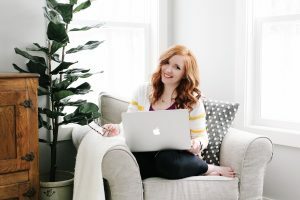 I just came across your blog when I was looking up using a Red Wagon on my porch for fall decorations (yours was so cute! )… then I saw this post as well! I have a 5.5 year old boy and a 2.5 year old boy. They could not be more different! We potty trained #1 at 2.5 years, but he was totally ready! We just started with #2, and he could care less, haha. But I just wanted to say that I agree with your post, waiting until they are ready is the most important thing. This was a nice refresher, so thanks. I kind of forgot what we did three years ago! I also wanted to mention that we did pull ups at night with #1 until he was about 5 years old, so very recently. He finally started waking up dry, and we really had to be disciplined about little water after about 6ish. I think that part can take a while, but one pull up a day is well worth not changing sheets every night! Just know kids can't really be trained at night time. It's more related to hormones. I have a just 3 year old who is dry at night and an almost 5 year old who still wears pull-ups to bed. We try to limit fluids after dinner and have them use the bathroom just prior to bedtime. Yay Hudson! It really does happen so quickly when they do it on their own time. We went straight to undies for naptime & bedtime too right when Liam trained and it worked well. Just put a potty right next to his bed and whenever he wakes remind him to go. He I my had accidents at night a handful of times. Yay for you guys! I hear potty training a boy is a lot harder than girls but this sounds like it went really well! I have a daughter who is about your son's age, and a son, who is about your daughter's age. I fully recommend the little potty for the same reasons! We do the same thing with the rewards even 6 months later. Now if she does it all by herself as in telling us she needs to go, and goes and does it herself she gets 5 gummy bears (we use gummy bears only because the chocolate m&ms were messy). Great job!